This article is part of an ongoing series involving GrapeCity Documents and Azure Cloud Services. 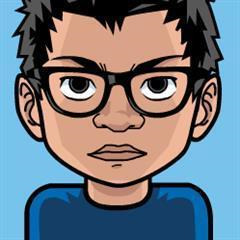 Here, we'll discuss how to use events from Azure Blob Storage to modify an image stored. 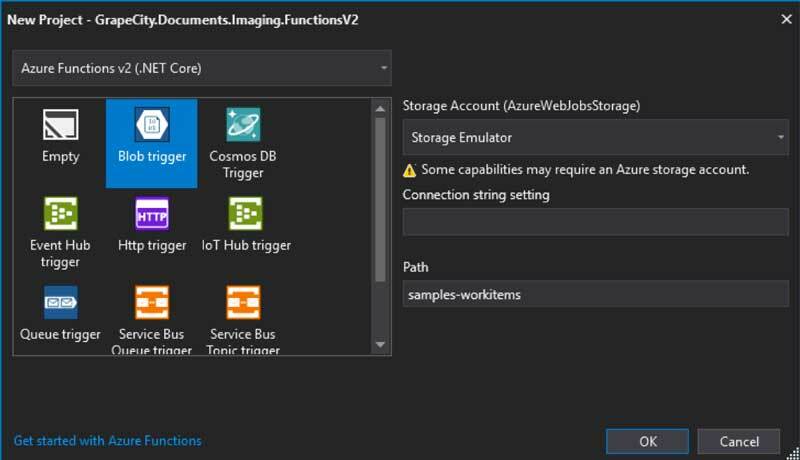 We'll use Azure Event Hub to consume the upload event coming from Azure Blob Storage and notify our serverless function to add effects like watermarking and resizing to uploaded image. In this article, we will be designing a service that will read an image uploaded to AWS S3 and create a grayscale thumbnail with a watermark. Take a look at all of additional imaging operations that you can perform with GcImaging. Here, you can browse sample sources, view or download generated images in JPEG, PNG or TIFF formats, and download complete sample projects in C# or VB.NET. Our architecture is going to be very similar to the one we discussed in this blog. The major difference between these two designs is that in Azure, unlike AWS, all events are routed via Event Grid. This allows Azure to provide different event subscription patterns. 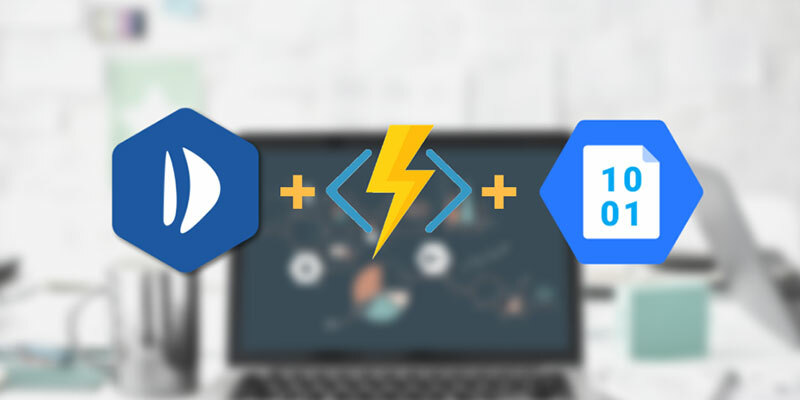 Where as in AWS we can only use a Lambda function to invoke a custom code on some events, Azure allows various other subscribers like Azure Automation, Webhooks, and REST APIs. For this article we will focus solely on Functions. Azure Functions comes with out-of-box support for Azure event bindings. 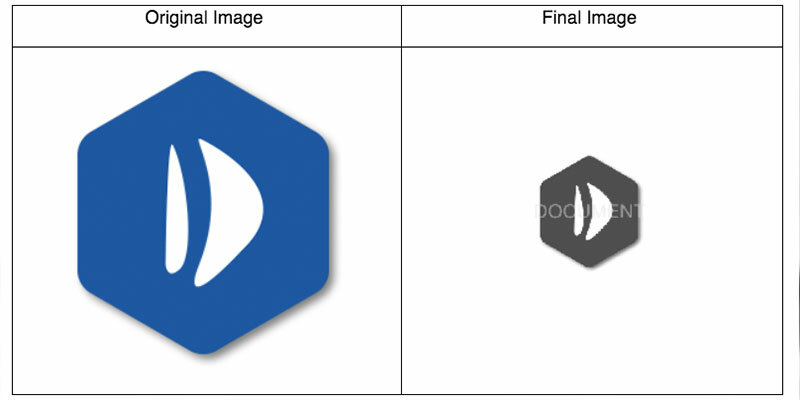 With output binding, now it's possible to directly upload an image to a container without using Storage SDKs. It is important that you understand how Blob Storage’s bindings with Function facilitate our use case. The Blob storage trigger starts a function when a new or updated blob is detected. The blob contents are provided as input to the function. The Event Grid trigger has built-in support for blob events and can also be used to start a function when a new or updated blob is detected. Note: Blob storage events are available in general-purpose v2 storage accounts and Blob storage accounts only. Azure Blob Storage are general-purpose, durable, scalabile, and high-performing storage. Blob storage allows consumers to store files as containers. Containers work exactly like buckets in S3. Whenever a file is added or deleted from a Blob storage container, event grid uses event subscriptions to route event messages to subscribers. For our design, we are going to use Azure Functions as subscriber of the event coming from Blob via Event Grid. You can download the project from GitHub at this location “GrapeCity.Documents.Imaging.FunctionsV2”. Open Visual Studio and create a new project “GrapeCity.Documents.Imaging.FunctionsV2” by selecting C# > Cloud > Azure Functions. Select “Azure Functions v2 (.NET Core)”. Select Blob trigger as Functions trigger. Create a new class GcImagingOperations.cs. Load a byte array into a GcBitmap object. Using GcBitmap.CreateGraphics, we'll then draw this image on another GcBitmap. We'll then add a watermark text with DrawString method. After this we will apply GrayScale effect using GcBitmap’s ApplyEffect method. Next, resize the image and return the image’s base64 string. You can later publish your function to Azure with Visual Studio. Once published, you can browse your functions app. See if everything went as expected! Download and install the Microsoft Azure Storage Explorer. 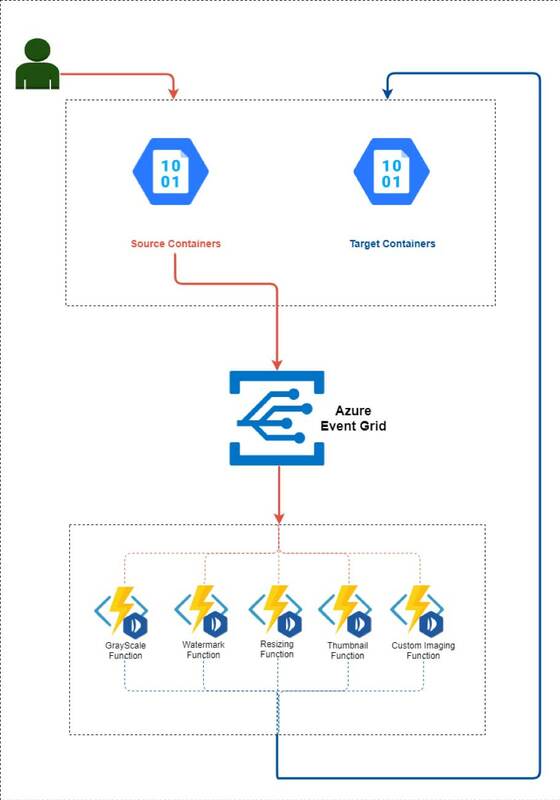 In a Storage Explorer, expand your storage account > Containers. You can upload your files here. Once uploaded, you will see that a thumbnail of your image is created in one of the Containers in your storage account. 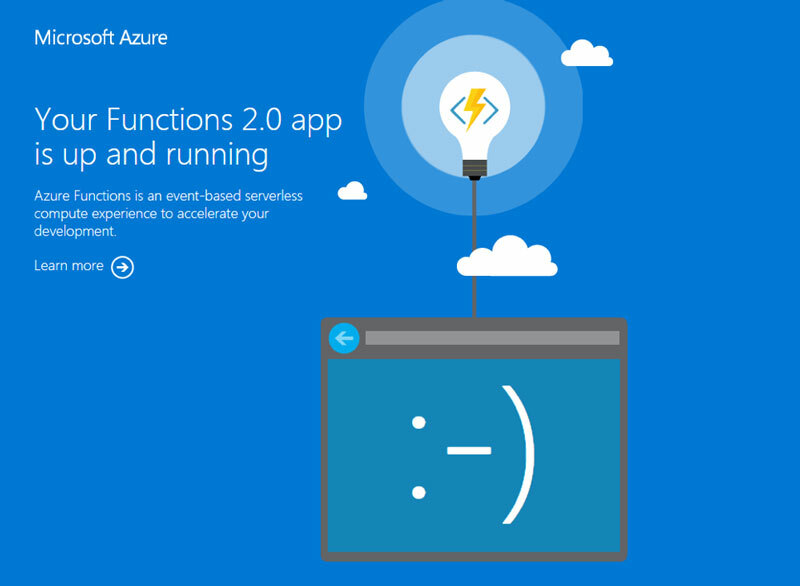 Open your Function app in Azure portal. Go to Platform features and open “App Service Editor”. App Service Editor provides an in-browser editing experience for your code. Open ‘function.json’ and remove the auto generated line “"generatedBy": "Microsoft.NET.Sdk.Functions-***"”. Now you can edit function.json file from portal.